A deposit is required to hold the date of you event. A damage deposit will be held on a credit card. A beautiful new building set on an 80 acre farm. 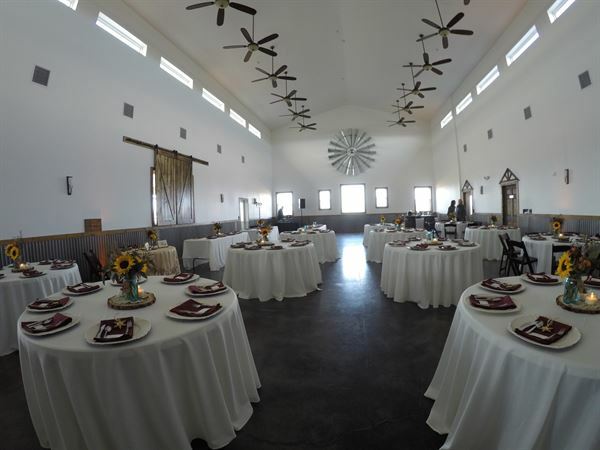 Atmosphere/Decor: Country Chic, wood trip, grand windows and sliding barn doors, with 27 ft ceilings create a beautiful ambiance for your event. Special Features: We can provide you with whatever you need.